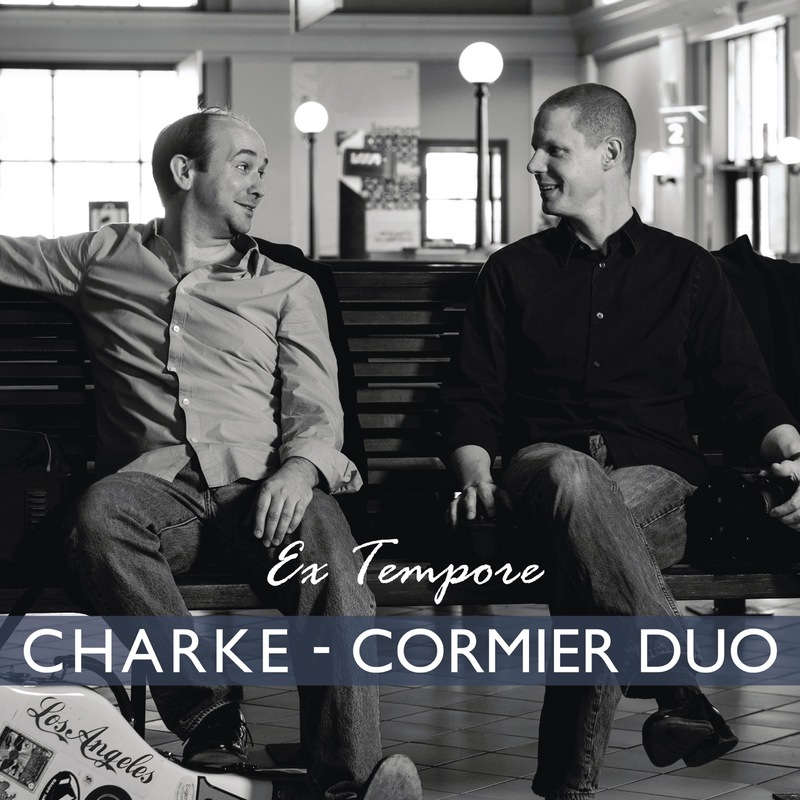 Ex Tempore is the debut album from the Nova Scotia-based Charke-Cormier duo. Derek Charke and Eugene Cormier have curated a charming program that includes an original composition by Charke (Ex Tempore), and arrangements of Handel and Peter Maxwell Davies by Cormier paired with works by Debussy, Handel and Brazilian-Canadian composer Celso Machado. Derek Charke (flutes) and Eugene Cormier (guitar) formed the Charke~Cormier Duo several years ago culminating in a debut recital at the KC Irving Centre in Wolfville, Nova Scotia. This sonorous union of flute and guitar continues to charm audiences across the Maritimes. 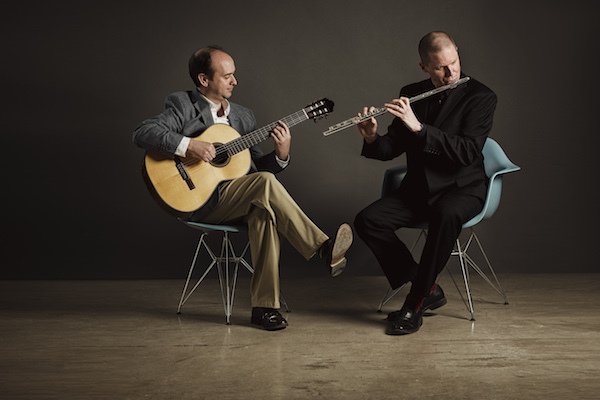 Their repertoire includes many of the most important works for this pairing of instruments, and creates a sonic journey for audiences from the street corners of Argentina to the halls of Europe, as well as introducing fresh new works created today. Both performers are highly accomplished musicians who are on the teaching faculty at Acadia University's School of Music. is an award-winning classical guitarist, a dedicated educator and an avid computer programmer. Eugene lives in Wolfville,Nova Scotia where he is currently a full-time instructor of classical guitar, music technology, theory and rock history at Acadia University. A frequent adjudicator at music competitions such as The Montreal International Guitar Competition and the Canadian National Music Festival, Eugene is in demand as a solo performer, chamber musician, accompanist and studio musician. Spending his formative years in Corner Brook, Newfoundland, Eugene first discovered his love of the guitar from his father. He went on to study classical guitar with Ken Davidson at Acadia before continuing under world-renown pedagogue Eli Kassner in Toronto. After this Eugene spent his summers traveling to guitar festivals where he had the opportunity to learn from some of the finest players in the world. Eugene enjoys music typesetting and currently serves as the musical engraver for Soundboard, the quarterly magazine published by the Guitar Foundation of America. A fanatical vinyl collector, Eugene has well over 15,000 records. is a JUNO and ECMA award-winning composer and flutist. Derek has a growing catalogue of high-profile commissions and performances, including several by Canada’s major symphony orchestras, as well as an impressive list of other performers and organizations. Derek is currently a professor of composition at Acadia University in Wolfville, Nova Scotia, he is co-director of the Acadia New Music Society, and he continues to actively perform as a soloist and new music improviser on the flute. Equally at home performing cutting-edge contemporary music or participating in free improvisation as he is performing Bach or Vivaldi, Derek received a Masters degree in flute performance from SUNY Buffalo where he studied with the late Cheryl Gobbetti Hoffman. Derek has performed as a soloist with the Slee Sinfonietta (Buffalo, NY) and GroundSwell (Winnipeg, MB), amongst others. He currently performs in the Charke-Cormier Duo. He is also a member of the resident Acadia New Music Ensemble WIRED! which released its first album Live Wired! in 2015. His Kitchen Party CD with percussionist Mark Adam won the 2015 East Coast Music Award for Classical Recording of the Year.